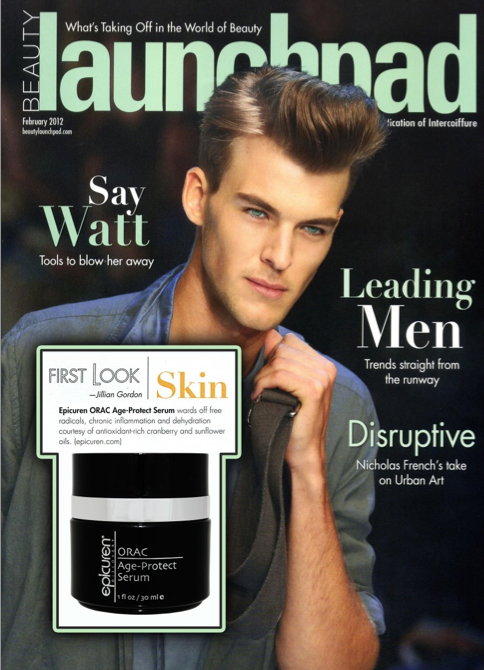 Epicuren's ORAC Age-Protect Serum was written up in the February issue of Beauty Launchpad. Jillian Gordon likes the Serum for it's ability to "ward off free radicals, chronic inflammation and dehydration." Click here for more information of Epicuren's ORAC Age-Protect Serum.